What would you do if your loveable child is in the clutches of a notorious cult? Would you question yourself: where did we go wrong, was our child unhappy, did our chattered life had a terrible effect on her…etc. a million questions and very few answers….The novel gets to the heart of brainwashing and its power to control. It also highlights how far parents will go to get their child back, even if that child is an adult. Mr. Adler is a master in creating drama with visual scenes and building upon relationships. 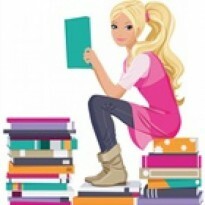 At first blush, the book seemed to be of Grace and the parental attempts to find her but it soon morphed into an overwhelming sexual obsession between two self-centered characters: Harry and Paulie, Grace divorced parents. The story jumps back and forth from the present and go back in time as the characters often reminisce about their life together. At one point, their romance is rekindled and this completely takes over the plot. These two characters did not fully won my heart… but their quest and the drastic measures taken to turn Grace around and bring her home is where this story excels in delivering its message. This easy and fast read set some decades ago moderately dabbles into the cult mindset and their persuasion techniques. 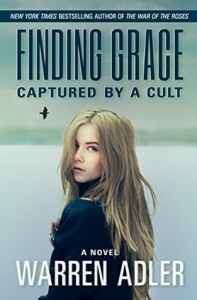 Although the premise is more about the efforts and courage needed to find and bring Grace back home we nevertheless have a look at this young woman who has been sucked into a cult and is now under their firm grasp. As with all of Mr. Adler’s work, the narration flows smoothly and his powerful prose leaves a whirlwind of emotions. After-all having your child under the spell of mind control who shuns your love can only be but devastating.